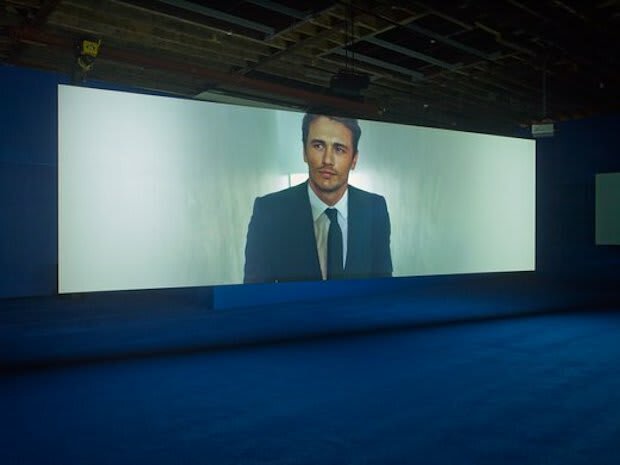 James Franco Plays an Art Advisor in Isaac Julien's Seven-Screen Film Installation, "Playtime"
Other characters including "the Artist" and "the House Worker" are played by an international group of actors including Maggie Cheung, Mercedes Cabral, Colin Salmon and Ingvar Eggert Sigurğsson, with Swiss collector and auctioneer Simon de Pury playing himself. For more information on the installation (showing now through March 1), head to the Victoria Miro exhibition page. Also, check out Isaac Julien&apos;s exhibition "Ten Thousand Waves" installation at MoMa through February 17.